The Ford Mustang, the original pony car, was imagined as a vehicle that blended style and performance, all at an accessible price point. In 2019, the Mustang is still bringing that same blend, only with a new ingredient: you. More customizable than ever, the 2019 Ford Mustang offers a wide array of options to modify your ride to your liking, from the feel of the suspension to the sound of the exhaust. Find out more about this ferocious new iteration of the Mustang, available at Team Ford. The 2019 Mustang is the logical progression for a vehicle that’s been turning heads since its inception in 1964. A striking exterior, led by new all-LED front lighting, gives way to a meticulously crafted interior, designed for the utmost comfort while you experience the utmost in performance. Make no mistake —with a choice of three engines, two transmissions, and five driving settings— this is a performance machine. Of course, the available (and completely customizable) 12” LCD instrument cluster offers you the ability to tailor every drive mode, getting the most out of your Mustang—and your driving experience. Of course, the 2018 Mustang is no slouch in the performance department. The initial Mustang to receive the 10-speed transmission treatment, in combination with Ford’s 2.3L EcoBoost engine, makes for a vehicle with lightning fast throttle response, and a lightning fast drive. The 2019 Mustang has improved upon an already stellar model and, for those who appreciate a bit of nostalgia in their drive, offers two new special edition versions of the Mustang that both nod to the vehicle’s storied past. First, is the return of the California Special Mustang, which adds understated California-cool design touches as well as performance mods to the already striking Mustang GT. Perhaps most exciting is the return of the Bullitt Mustang, which does the 1968 Steve McQueen version justice with its dark green exterior, white cue ball shifter, and 480-horsepower 5.0L V8 engine. A 2.3L EcoBoost® engine and independent rear suspension for a sporty yet refined ride. A push-button start and Electronic line-lock, in a stylish convertible? Sign us up! Heated and cooled leather-trimmed seats, means you’ll feel as cool as you look. The legendary 5.0L Mustang V8, only faster than ever with 460 hp and 420 lb.-ft. of torque. Three selectable power-assist settings give you the control you want, when you want it. A standard dual exhaust with quad tips amplifies the roar of the standard 5.0L V8 engine. Comes with standard Track Apps™ you’ll want to test—just don’t forget to put the top up. Unleash your inner Steve McQueen with this timely take on a Mustang classic.  The 2019 Ford Mustang is the best yet, and ready for you at Team Ford. A variety of trim levels, sharp looks, and absolutely explosive performance mark a vehicle that’s sure to turn heads—if they’re quick enough.